Join in the online conversation at www.missionsummitconversations.com. Start a personal account, and contribute to topic conversations of interest. Or, start your own conversation and use this resource to connect with other American Baptists. Start an Adaptive Challenge Team in your Church or Region. Start a “Joining God in the Neighborhood” group in your Church or Region. Review and use the congregational workbook for “Joining God in the Neighborhood.” The aim of this workbook is to help congregations listen and interact with their neighborhood in new ways. Several congregations are already involved in this initiative. While the workbook contains all of the information that you need to join others in this initiative, you will need to name a “Journey Guide” to help you with the process. Once you have downloaded the resource, let us know what you think. We can help you identify a Journey Guide, provide orientation for your Journey Guide, and help you connect to other congregations who are using this resource. Contact Jeff.Woods@abc-usa.org. Consider “Experiments in Difference” through this resource in your Church or Region. 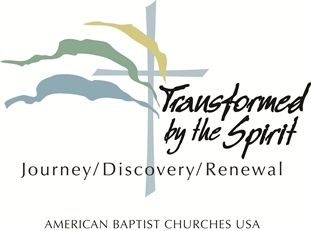 Review the workbook designed for “Experiments in Difference.” This resource is part of the American Baptist “Transformed by the Spirit” initiative. The aim of this initiative is to help congregations and other organizations better understand the differences that exist among them. This workbook contains all of the information that you need to join others in this initiative. We can also help you connect to other congregations who are using this resource. Contact Jeff.Woods@abc-usa.org.